There are plenty of places to party on the French Riviera from St Tropez all the way to Monaco. You will find some of the world’s best clubs in the top resorts of the Riviera but you will also find a wealth of nightlife in all the French Riviera resorts. Moonlit beaches are places for entertainment and many of the seafront restaurants provide entertainment including discos and stay open late into the night. In Nice you will find many discos such as Mississippi, 5 Promenade des Anglais, the Nautique club, 20 quai Lunel, Niel’s club, 10 rue Cite du Parc, Oba Oba, 73 Quai des Etats Unis, Pam Pam, Place Messena, Salsa, 9 rue Bonaparte and Toucan’s club, 73 Quai des Etats Unis. 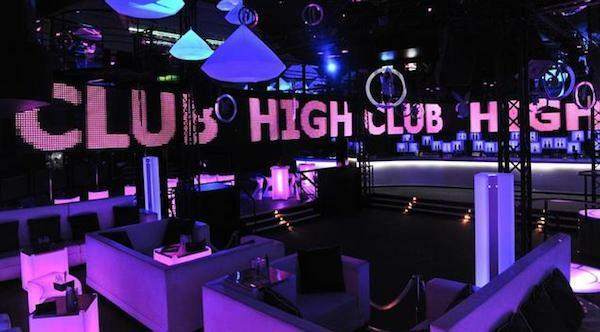 High Club is Nice’s biggest and most sought after night spot. It is set on three floors and attracts massive crowds all year round. With famous DJs you have a recipe for a fun-filled night of hedonism and all your favourite music. Located at 45/47 Promenade des Anglais Nice. Jimmy’z is the top plce in Monaco and has resident DJ’s playing music from the 80’s, 90’s, pop and electro. Located at the Sporting, Monte Carlo, Avenue Princesse Grace. The Kiss Club at Juan les Pins is another hotspot. Located at 5 Avenue Gallice, Juan les Pins. The most eclusive club at Cannes is Baoli which brings a taste of Miami to the Riviera. Located at Port Canto, Boulevard de la Croisette. And of course there is Les Caves du Roy situated beneath the famous Hotel Byblos. The club is a centre of luxury and is reputed to be the most exclusive on the French Riviera. Naturally, entry isn’t easy to come by.